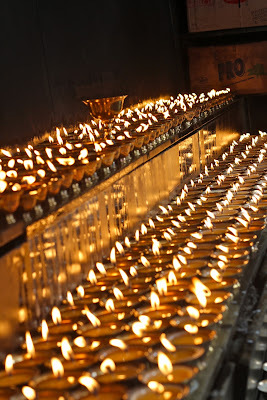 Sharing deep sadness with the children, families and educators of Newtown Connecticut. Today honouring the birth-day of the International Day of the Child seems especially poignant. On December 14, 1954 the UN General Assembly recommended that there should be an International Children's Day. Susanna Hill is dedicating this week's Perfect Picture Book Friday to children's rights. In 1989 the United Nations passed the Universal Declaration of the Rights of the Child. Sharee Fitch, a lovely Canadian poet, was asked by UNICEF to write a book that would promote discussion about rights and responsibilities. She "funnified" the serious subject of the rights of children to an education, adequate food, shelter and health care, safety, fair treatment, protection from war, with her trademark rollicking verse. The light hearted verse is well matched with the free-spirited illustrations, neither of which take away from the seriousness of the subject matter. The fun is there to be enjoyed, as well as the subject matter to be discussed. I find that the fun serves as a reminder of the innocence that is supposed to be part of every childhood. Unicef outlines the UN Convention for the Rights of the Child. Read the rights of the child in plain language. A Children's Rights Activity Guide published by the Government of Canada. Sheree Fitch is a performance poet; her work is meant to be read aloud. She is amazing to experience presenting her writing. 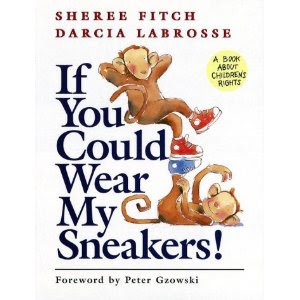 About Sheree FItch, her blog, and her page about If You Could Wear My Sneakers. What a beautiful book (for any day). I love the idea of walking in another's shoes. And walking in a monkey's sneakers? All the better. What a wonderful pick. Yes, it is important for children to know that they are loved and cared for in many ways. Thanks for sharing this, Sandi.